Recorded At – Sunny Side Inc.
Comes with a free download coupon and housed in a printed innersleeve. Translucid sticker on shrinkwrap reads "Blackened Cities Melanie De Biasio"
I discovered Melanie's voice & music at a hi-fi show in Brussels, the track "With All My Love" was playing on the incredible little KEF LS50 speakers. Instant love affair ! I subsequently got the LPs from her label, plus the 24-bit versions on Qobuz, for good measure. Hey, let's support the artist. 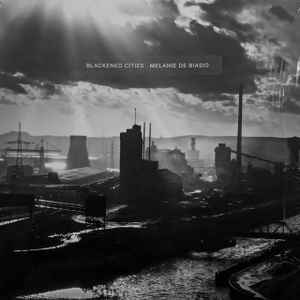 "Blackened Cities" is a mourning hymn that will evoke urban loneliness, despair maybe. The "tentacular cities" that Belgian poet Emile Verhaeren so eloquently wrote about. Production values are top-notch. I'd love Melanie to play her flute more, the very nature of this instrument speaks to the soul. Fantastic sounding record, Bought my copy yesterda at Melanie's gig in Utrecht, off course she signed it! Buy it!